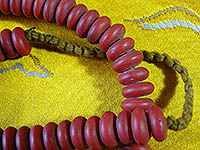 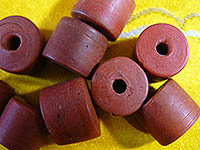 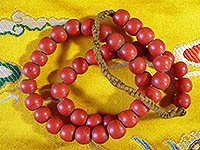 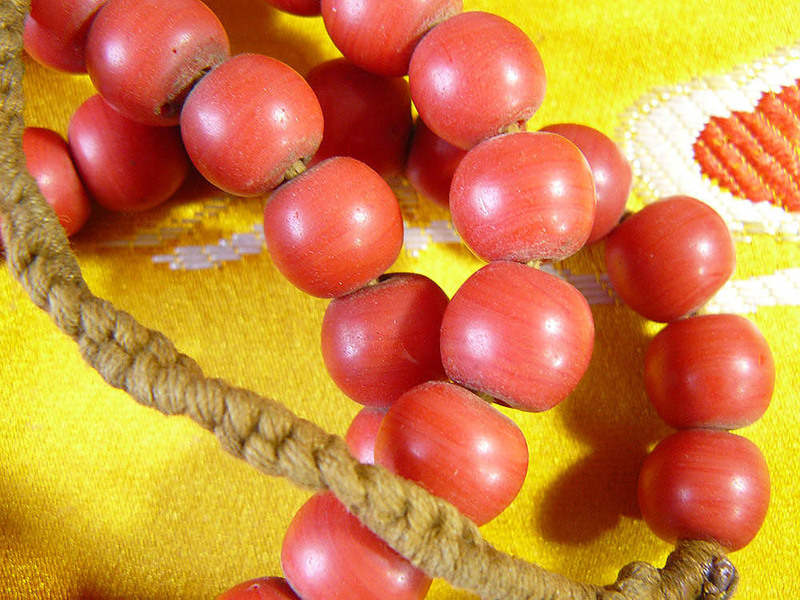 A set on 9 large, red sherpa coral beads. 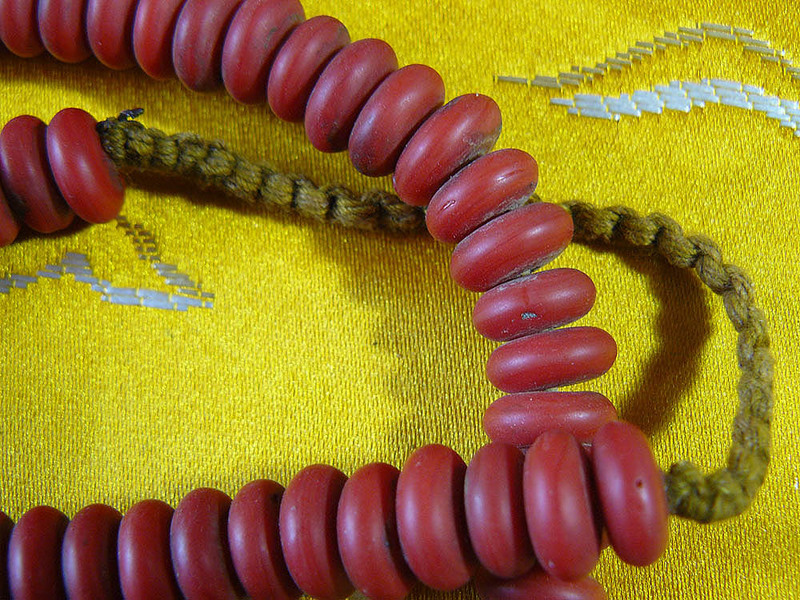 The beads are in good condition. 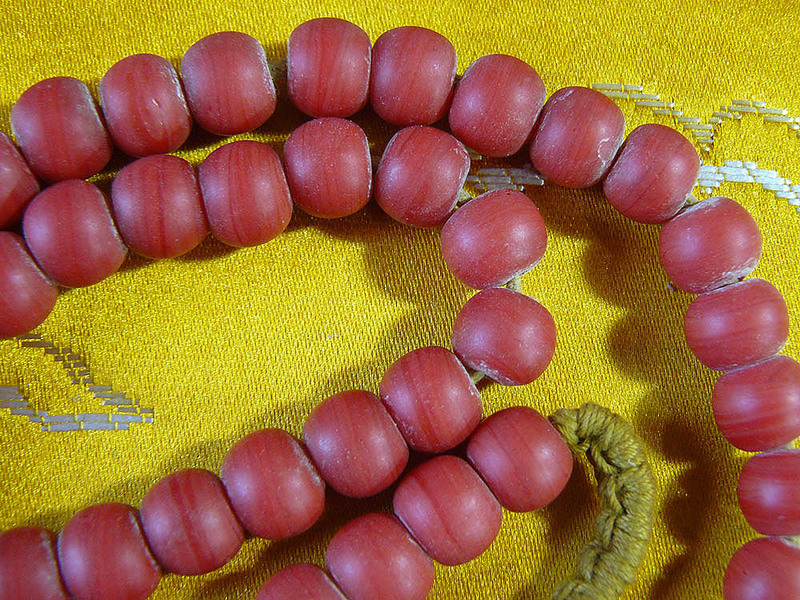 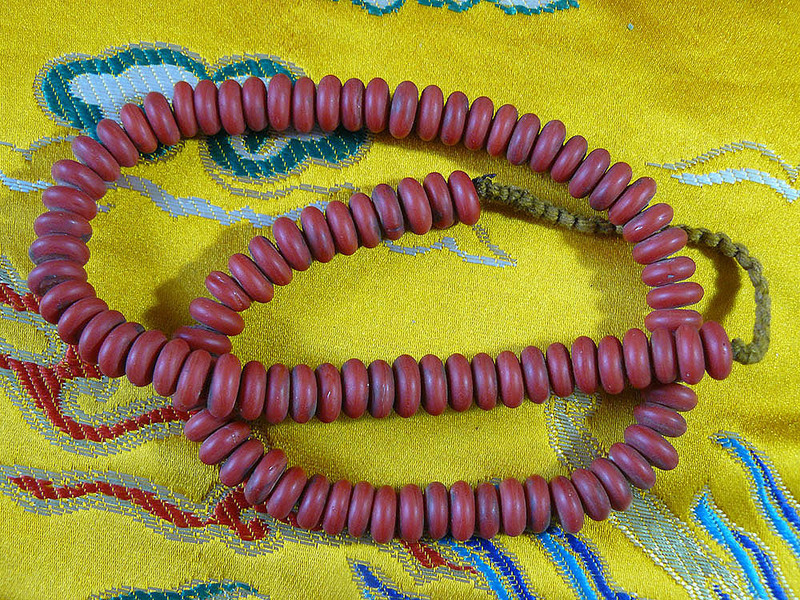 A red sherpa coral bead necklace. 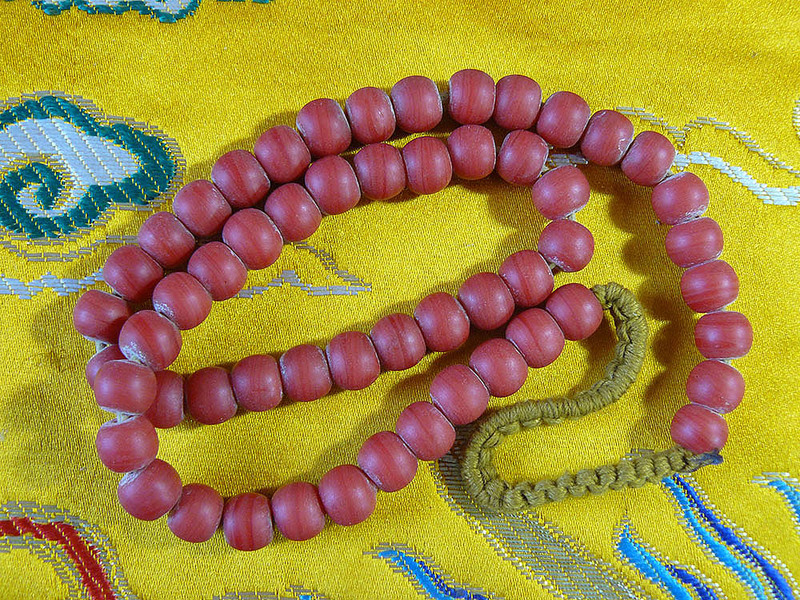 The beads are in good condition. A sky blue glass - probably meand to look like turquoise - bead necklace. The beads are in good condition. 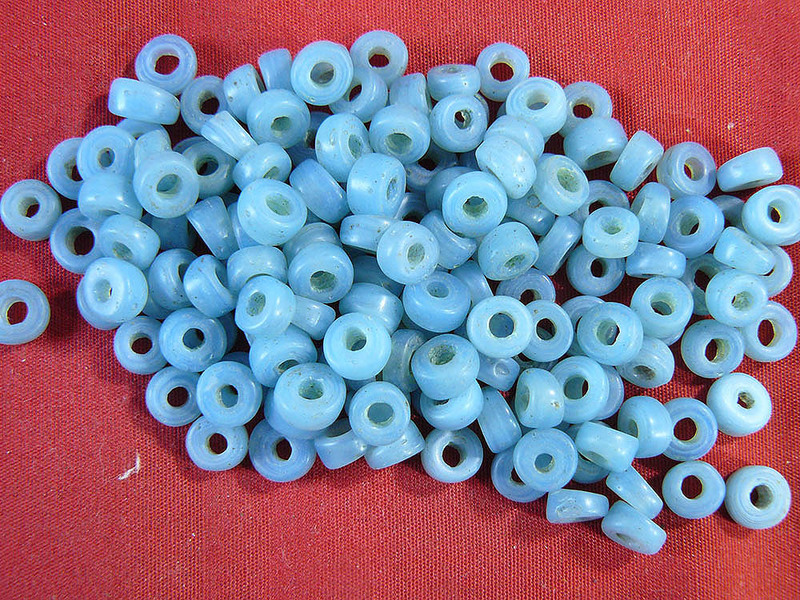 Sky blue glass beads. The beads are in good condition. 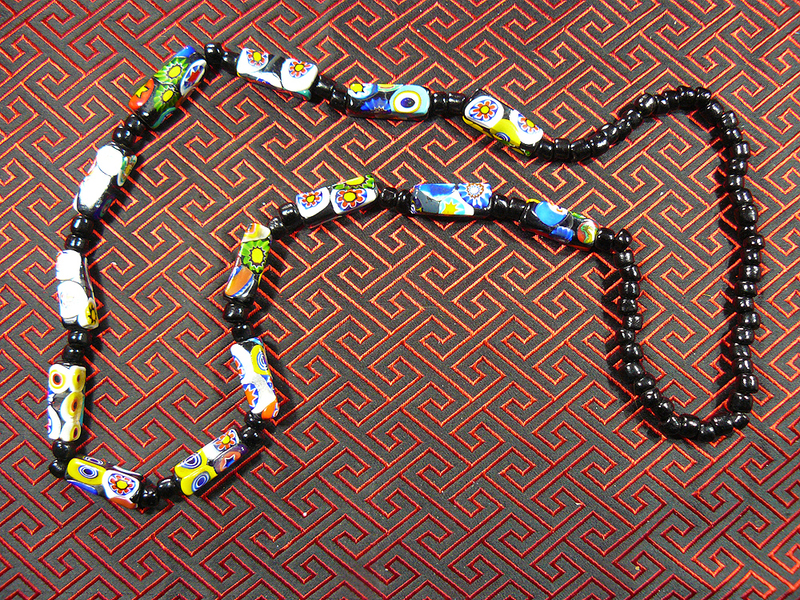 A glass bead necklace made up of 14 square-section millefiori (thousand flowers) beads, with dark blue glass space beads. Millefiori beads like this have been made for several thousand years Southern Europe and the Middle East sunce in the Roman world and the tradition has continued on into the modern era on the Island of Murano in Vence. 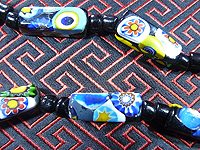 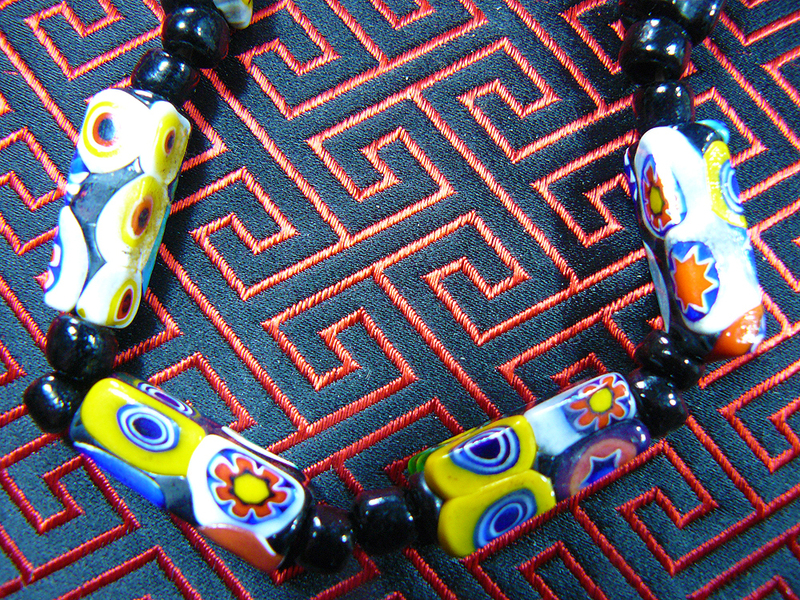 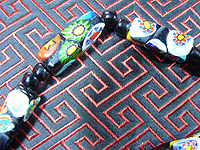 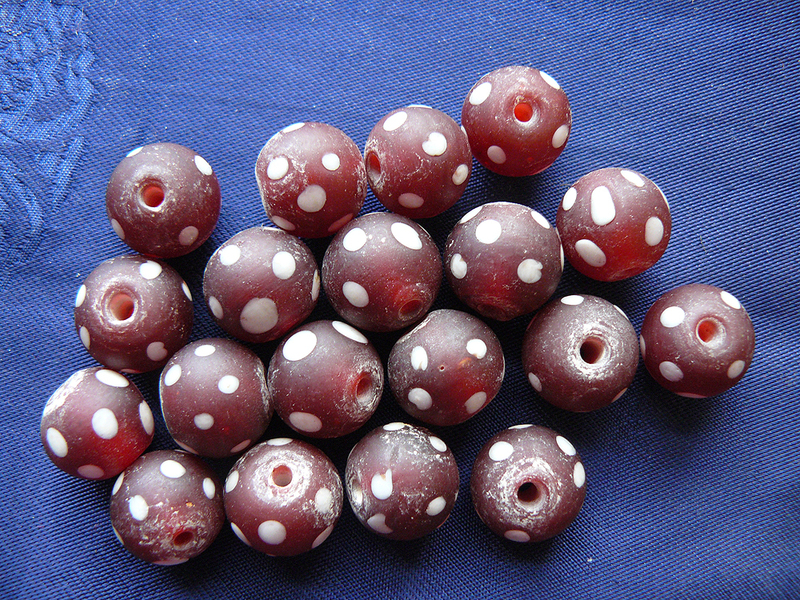 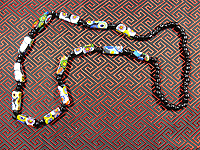 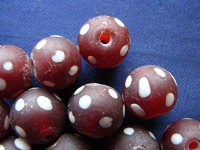 Millefiori beads have been one of the most populat trade beads, taken from Murano all over the world and traded with the indigienous peoples Europeans met. 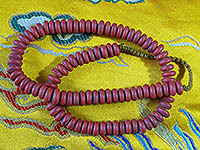 The photographs do not do the rich, vibrant colours of these beads justice. 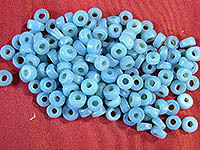 Prosser beads were a very popular bead with Native societies, espcilaly blue Prosser beads, with thier rich sky blue colour. The beads are found in Native American objects from the C19th and are also found in Siberian shamanic objects. This is a whole string of the beads, which have been recently strung on white cord. 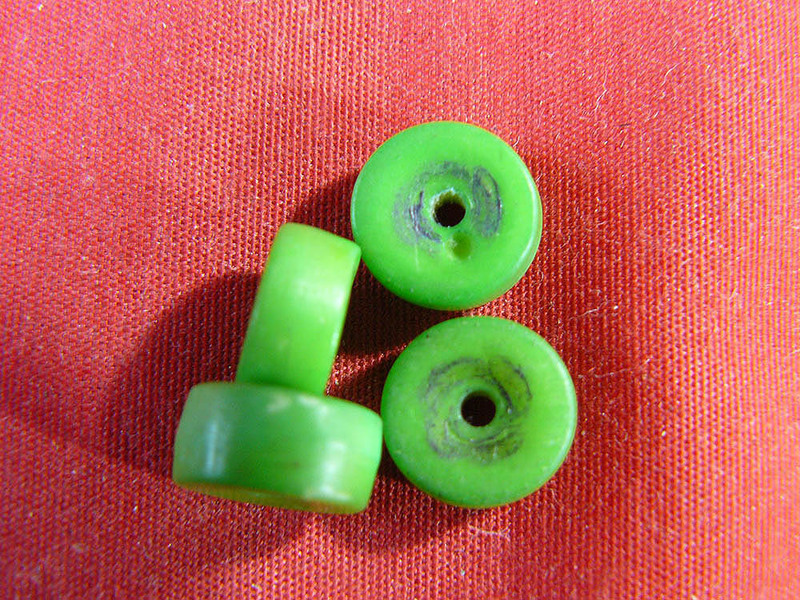 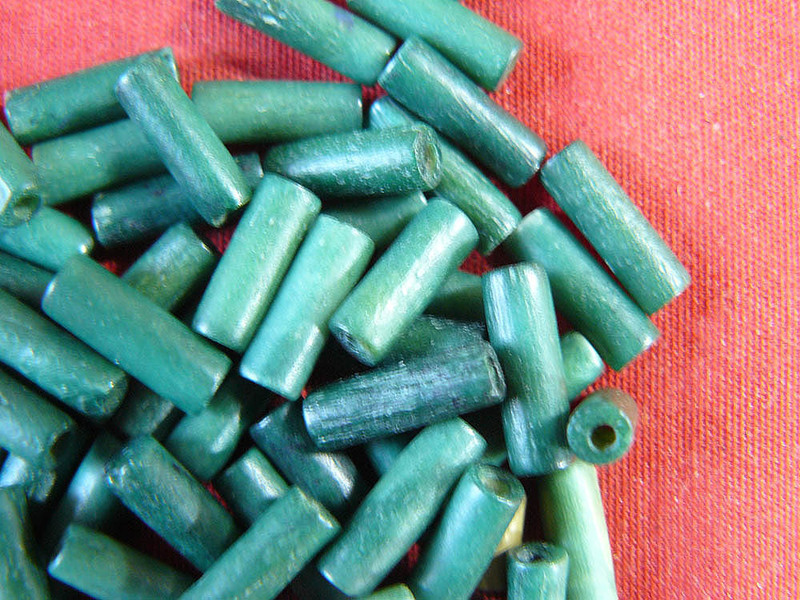 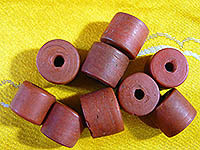 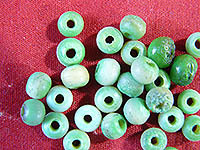 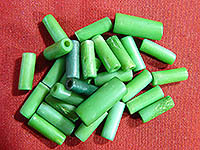 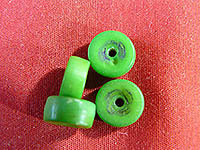 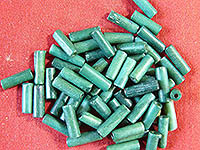 A set of 30 old glass beads made to look like jade beads The beads are in good condition. A set of 57 old glass beads made to look like dark jade beads The beads are in good condition. 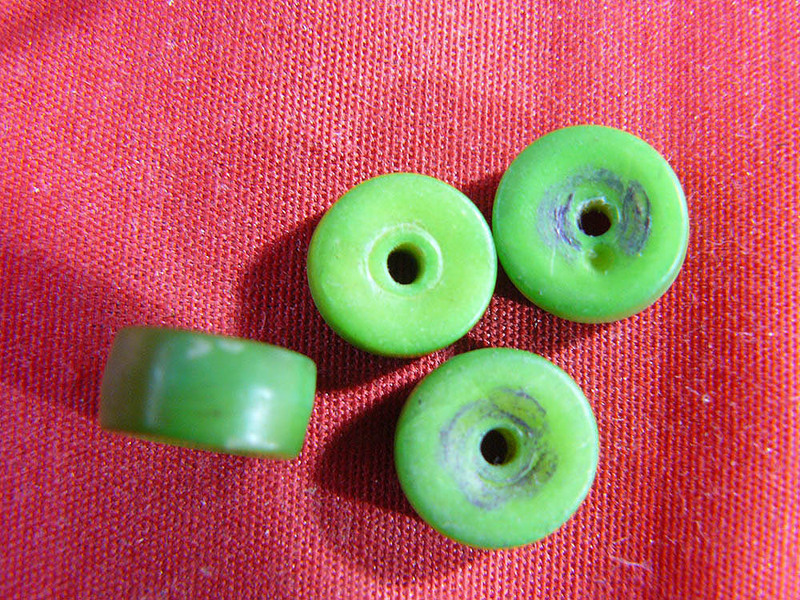 A set of 4 old glass beads made to look like jade beads The beads are in good condition. 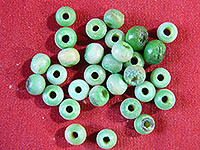 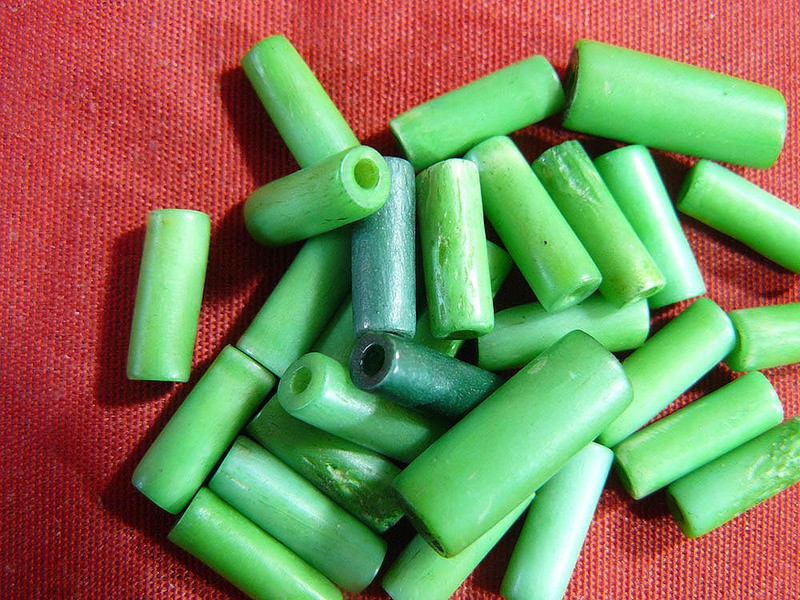 A set of 26 old glass beads made to look like jade beads The beads are in good condition. 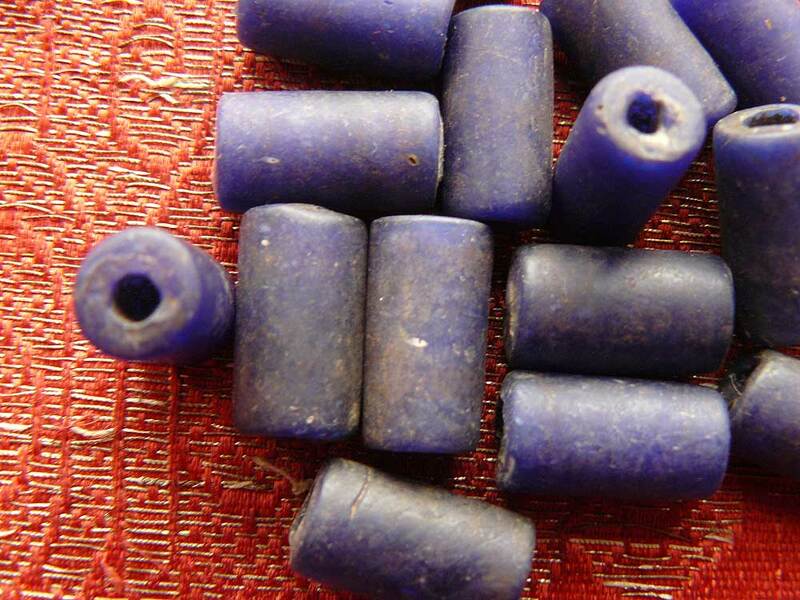 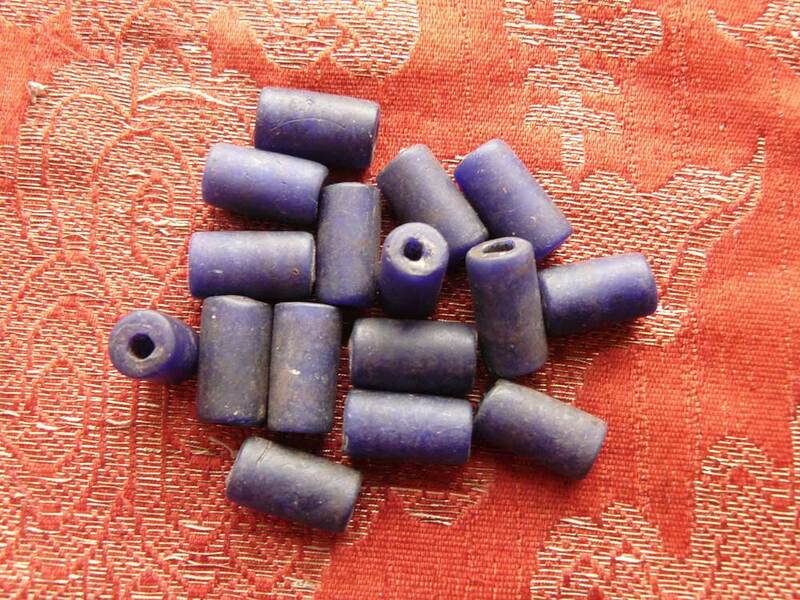 A set of four antique glass beads made to look like lapis beads The beads are in good condition, with dirt and small chips which shows their age. 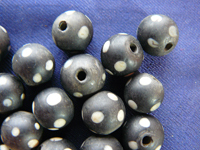 Crow beads or eye beads have been used as protection amulets for thousands of years, they were a popular bead in Roman times and were an important trade item in Africa and North America in the C18th and C19th. 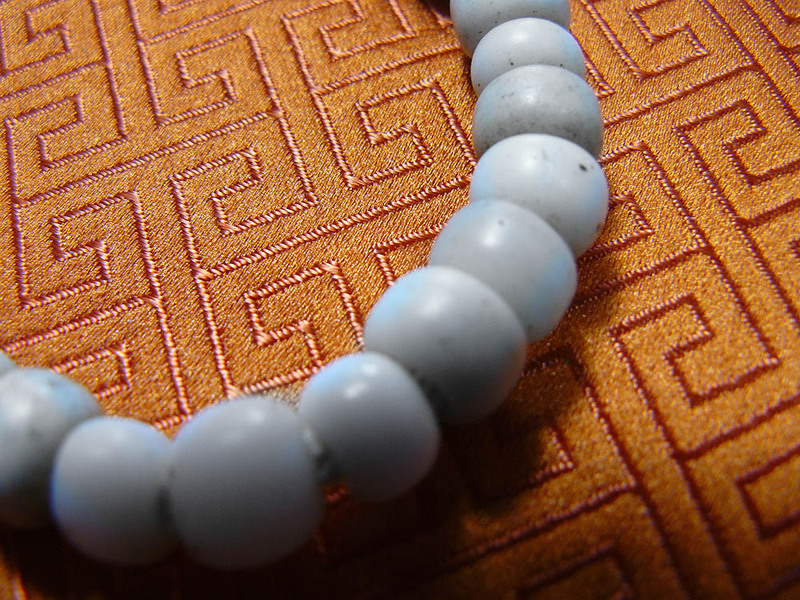 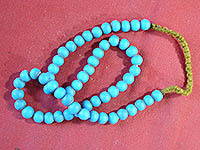 The white 'eyes' on the bead are said to protect against the evil eye. 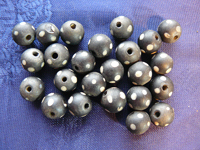 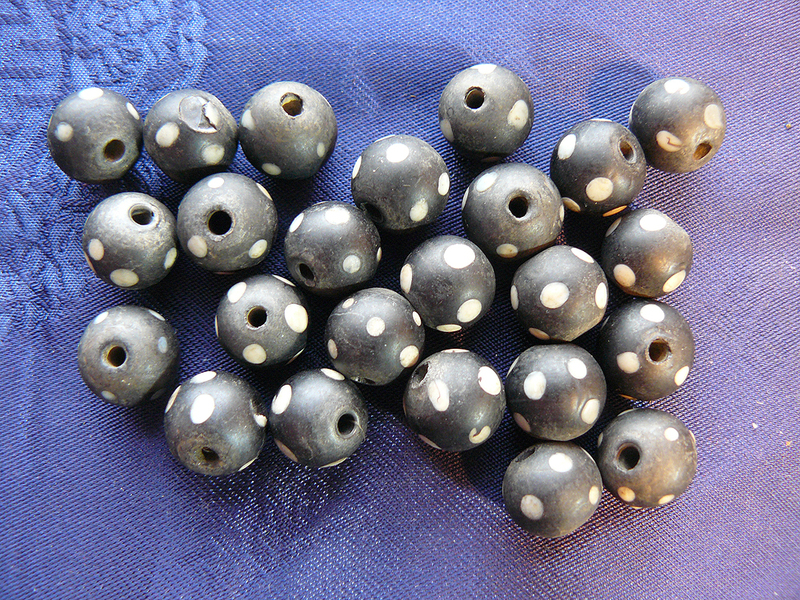 These are nicely made old Black crow beads in good condition. 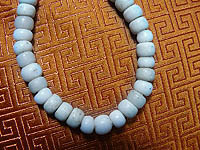 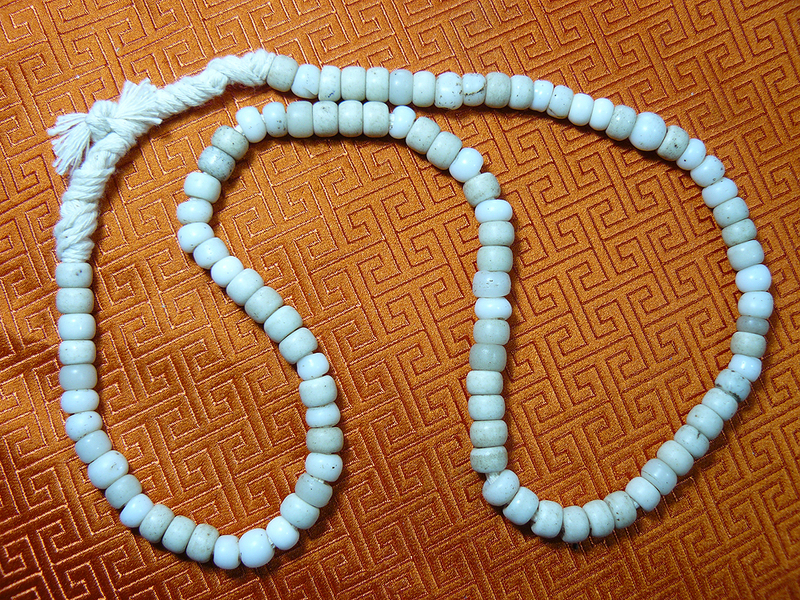 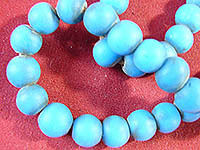 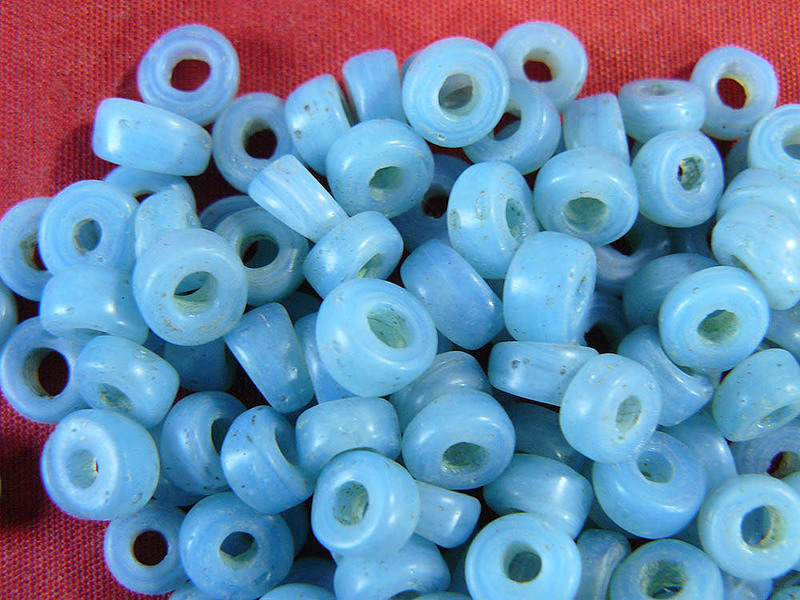 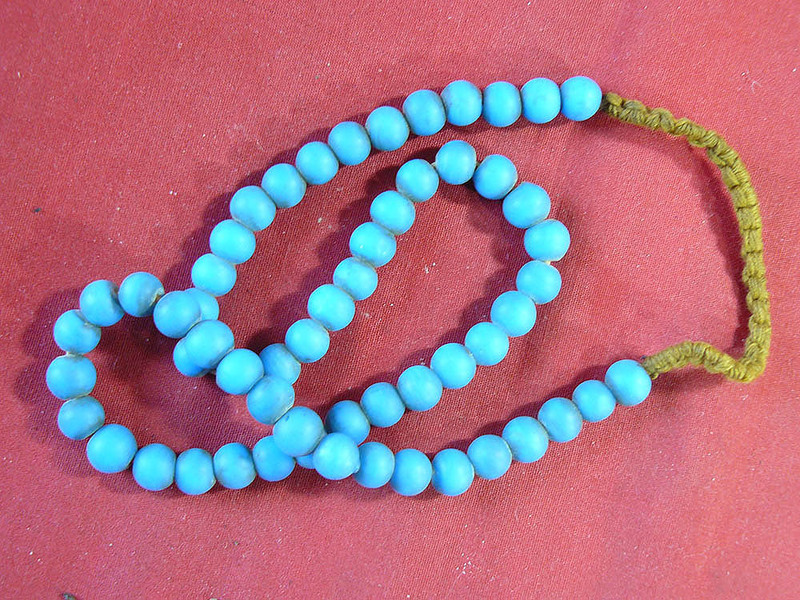 Attractive sky blue beads of uneven shape. 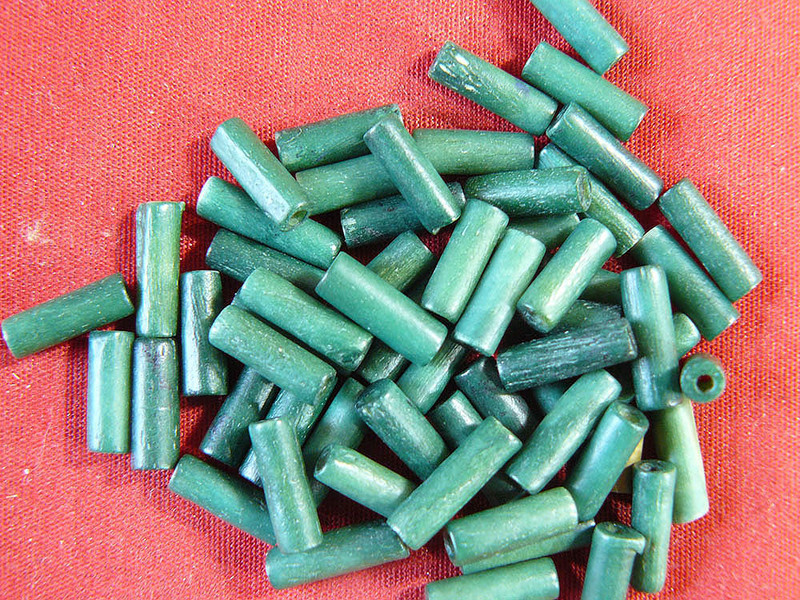 They are probabaly meant to imitate turquoise. The beads are in good condition.